Want to reduce or cut your electricity bill? Then install Solar Panel systems for your Home, Business, Commercial or Agricultural operation. 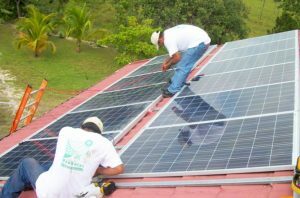 Solar or Photovoltaic (PV) Systems are custom-designed to meet your Residential, Commercial or Agricultural Power needs. 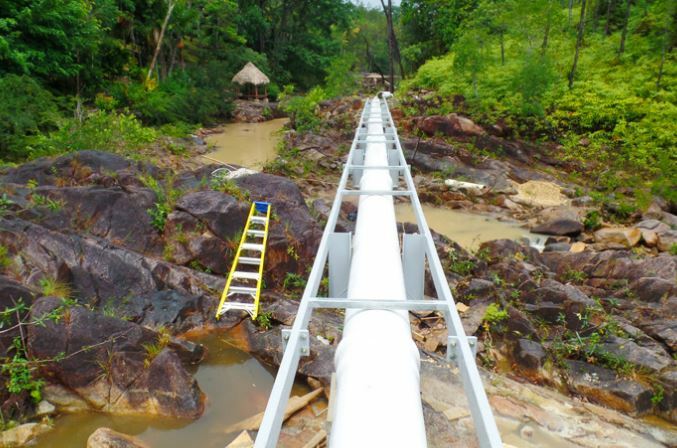 All systems are designed using high-performance components manufactured to withstand Belize’s demanding climate, guaranteeing that your investment is worthwhile and rewarding. 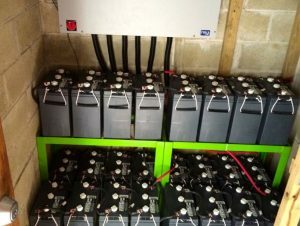 Off-Grid Solar Systems are Solar Panel Systems which are completely disconnected from BEL’s Electricity Grid system. Off Grid Solar Systems are completely self-contained and self-sufficient, providing Homes, Hotels, Resorts, and Farms etc. with the electricity you need, 24 hours a day. These systems carry their own set of batteries to store and supply power. 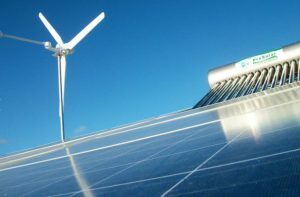 If these systems utilize other sources of power such as small wind turbines, Hydropower supply or back up generators they are called Solar Hybrid Systems. Solar systems also use inverters. Inverters convert the DC current generated by the System to AC current – the type of power most appliances and electronic equipment use. START SAVING! Click here to Get 100% financing to install your Solar Panel System! – For Homes, Business and Commercial or Agricultural operations. backup supply, BEL’s grid would serve as the backup power supply. 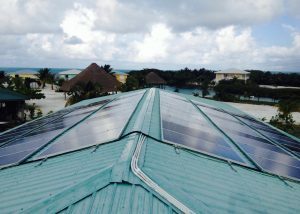 Unfortunately, Net-metering is not available in Belize at this time. Grid-Tied Solar Panel Systems are systems which are tied to BEL’s Electric Grid and only partially provides you with energy from the Solar Panel System. Grid-Tied systems DO NOT have batteries to store power. Because of this, you would only be able to get power from your Grid-Tied system during sunny days only. Becuase there are no batteries to store power, you would use more electricity from BEL during nights and on cloudy or rainy days, resulting in considerably LESS savings. Being that almost all homes consume the most energy at night (when the family is home from work and school) the savings you would get from Grid-Tied Systems are considerably less. Grid-tied systems, however, have a more affordable up-front cost because you would not purchase the batteries which store power. Solar Water Heating (SWH) Systems for Homes and Commercial Operations. SAVE MONEY by cutting the high energy cost of heating water for your home, hotel, resort or other business. For domestic water heating, 30% of an average electric bill cost is for heating water and it can be as high as 50%! 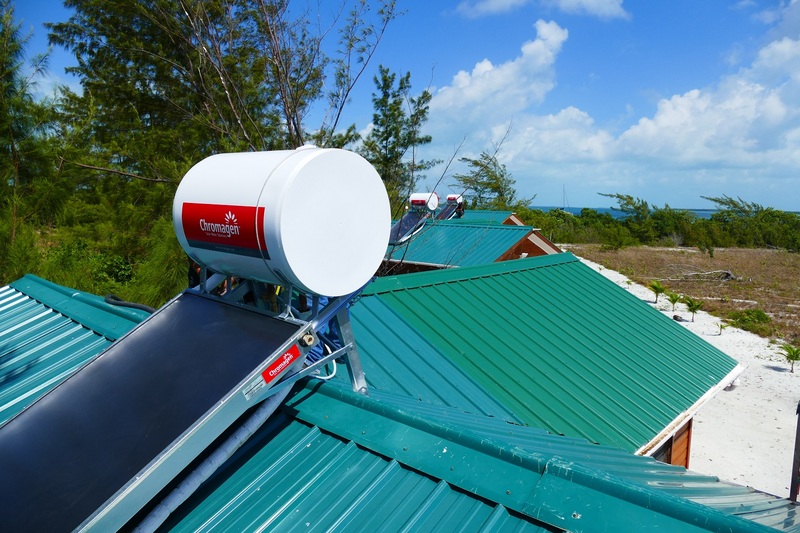 Solar water heaters (SWH) are NOT producing electricity – they use the sun energy to heat up water. 30% of an average electric bill cost is for heating water. It can be as high as 50%! Rule of thumb is a 30-gal system for up to 4 users, 40-gal up to 5, 50-gal up to 7 and 80-gal for up to 10 users. Chromagen systems have a life expectancy of up to 15 years with very little maintenance. Download full details about Domestic Water Systems below. START SAVING! Click here to Get 100% financing to install your Domestic Solar Water Heating System! 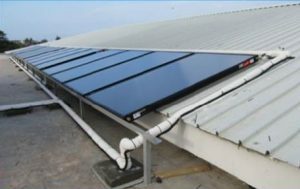 Project Assessments needs to be conducted for Commercial Solar Water Heating (SWH) Installations. 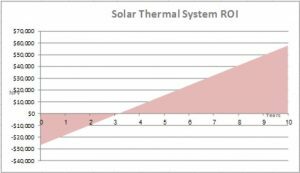 To provide you with an insight into what a Commercial Solar Water Heating Project Assessment entails and provides, download a sample SWH Project Assessment below. START SAVING! 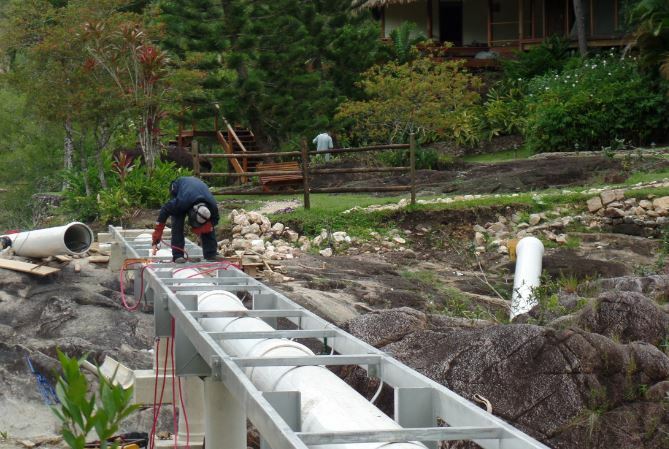 DFC provides 100% financing for you to install your Commercial Solar Water Heating System! Wind turbines convert the kinetic energy in the wind into mechanical power. This mechanical power can be used for specific tasks (such as grinding grain or pumping water) or a generator can convert this mechanical power into electricity to power homes, businesses, schools, and the like. Alternative fuels can be BioGas for home cooking use (replaces butane). 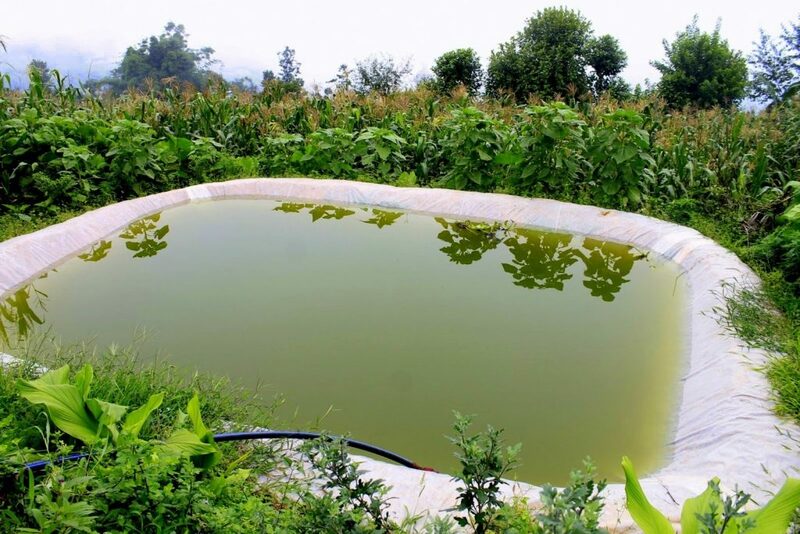 Image: Is a ‘Bio-Digester’ that you can buy for your home. It naturally produces about 3 hours of BioGas for your Home Cooking needs using the normal ‘scaps’ from your meals. It replaces the need to purchase butane gas and pays back for the investment you make over a period of years. In Belize, Home BioGas Systems are sold and installed by GreenSun Ltd.
Another form of Renewable Resource is Rain Water Harvesting. You can reduce or cut your water bill by accessing financing to install Rain Water Storage and filtration systems to provide for your Home or Business’ Water Consumption needs. Remember, this helps to reduce our impact on the environment because it reduces the cost of energy Belize’s Water Service provider consumes in order to supply water to your home or business. Rain Water Harvesting is excellent for hotels, resorts and other businesses to reduce long-term operational costs and to improve your Brand image. Investing in Renewable technologies differentiates you from your competitors and climate-conscious customers and tourists choose and support climate-conscious hotels and businesses. There are different types of containment that can be bought or built to provide for your home and business water supply needs. 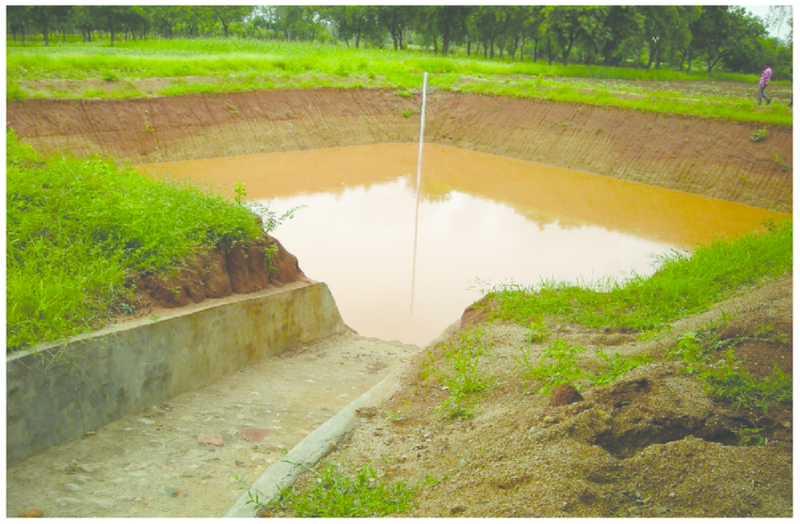 It’s time for you to benefit from this FREE Natural Resource – Rain Water! Apply today! 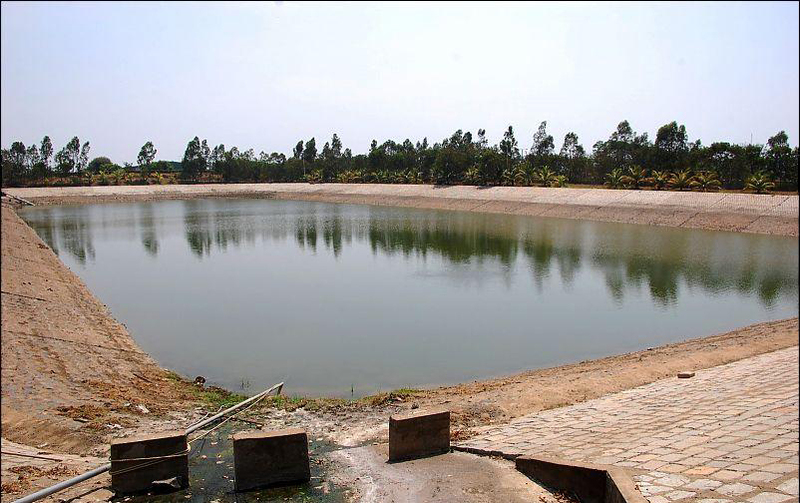 Agricultural Farms and Live-stock can also benefit from Rain Water Harvesting by constructing Water Catchment Ponds. Save money by harnessing this FREE Natural Resource – Rain Water! Apply today! 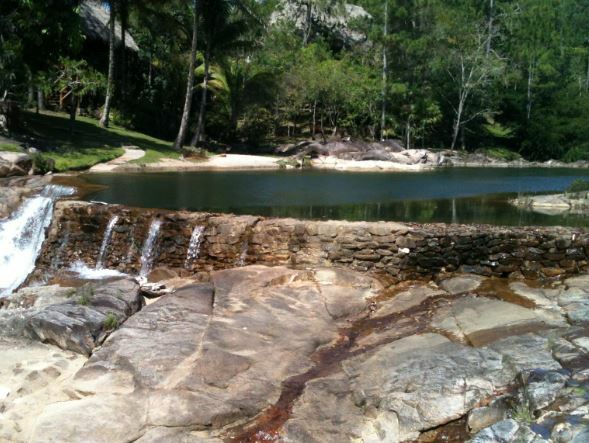 Pictured above is a Mini Hydro Dam which a Belize Jungle Resort constructed. 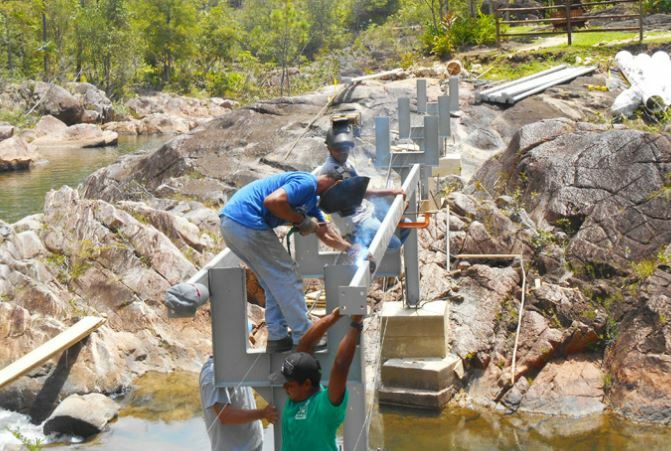 They developed their own electricity supply by harnessing the energy generated from this renewable and sustainable resource – a stream which was on the property. 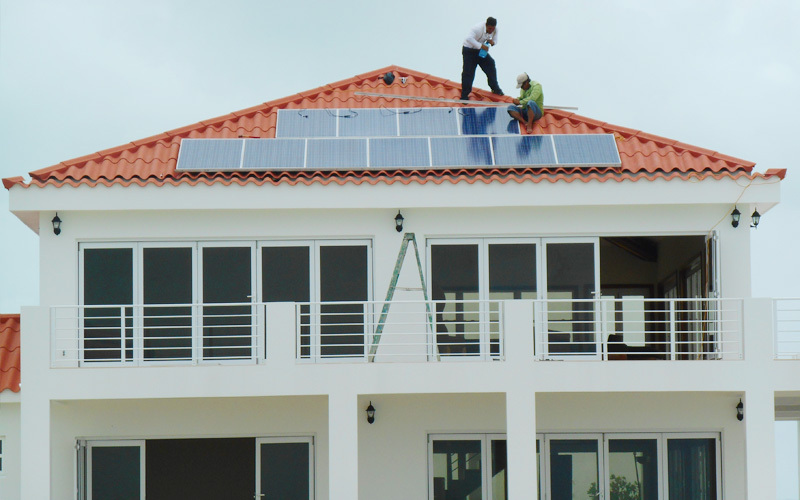 The construction was provided by one of Belize’s very own Green Energy Service Providers. *This project was not financed by DFC. Do you think no one is investing in Renewable Technologies? 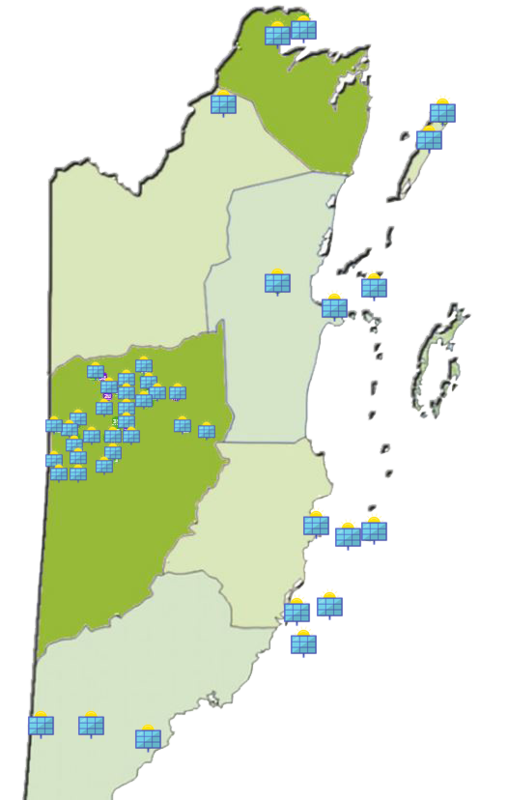 This map shows actual locations of Solar PV Systems installed across Belize by only one Green Energy Service Provider.